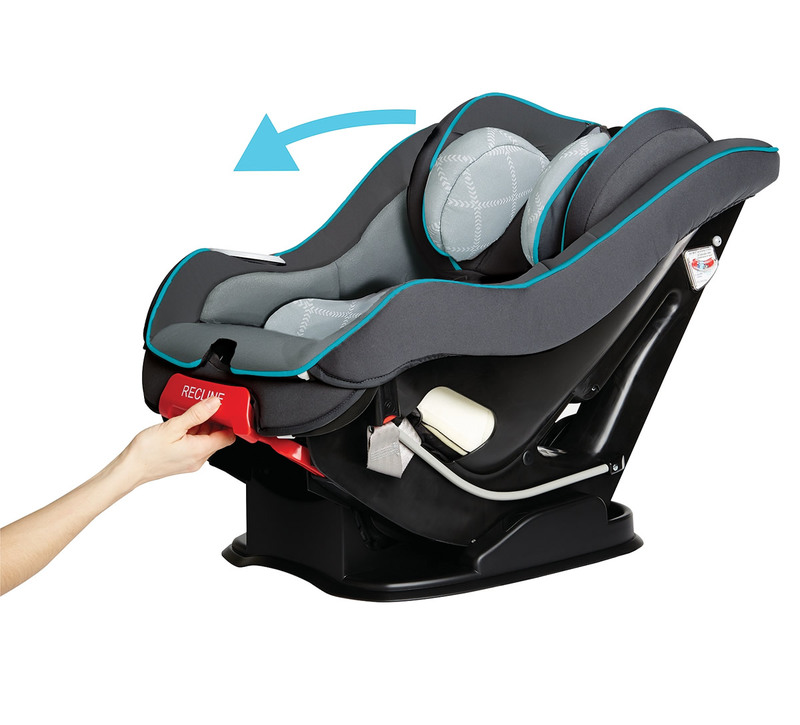 This car seat was easy to install and changes size with ease. Works great and couldn't be happier. Purchased for our 7 month old grandson and his parents love this car seat. It's secure and it gives plenty of protection around our precious grandson. So easy to install! My baby is comfortable and snug in this seat. He loves it as much as i do. Not huge and bulky or heavy. Easy to switch to another car. 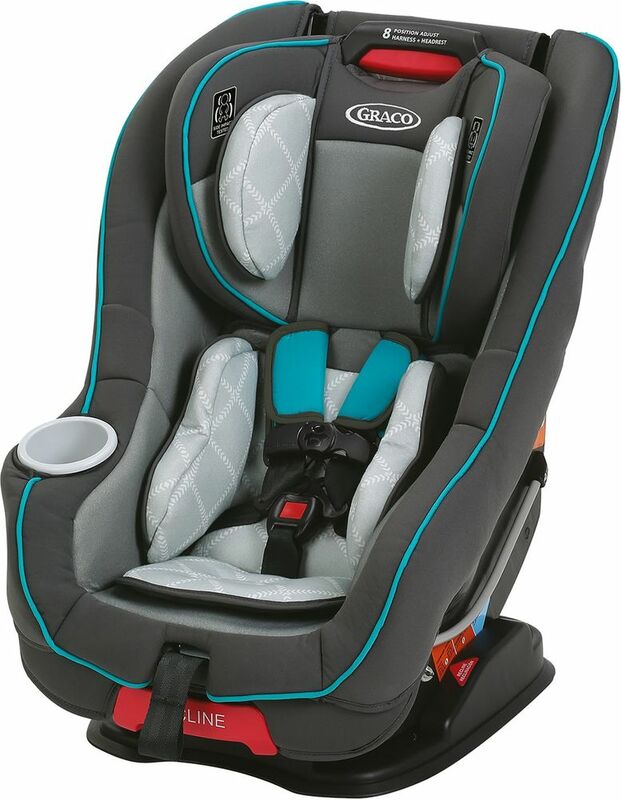 I really like this carseat, I have 3 of them for our 2 cars for our 2 kids. Easy to clean, easy to install, good amount of configurations and comfort etc. The only downside I'd say is it is hard to tighten. 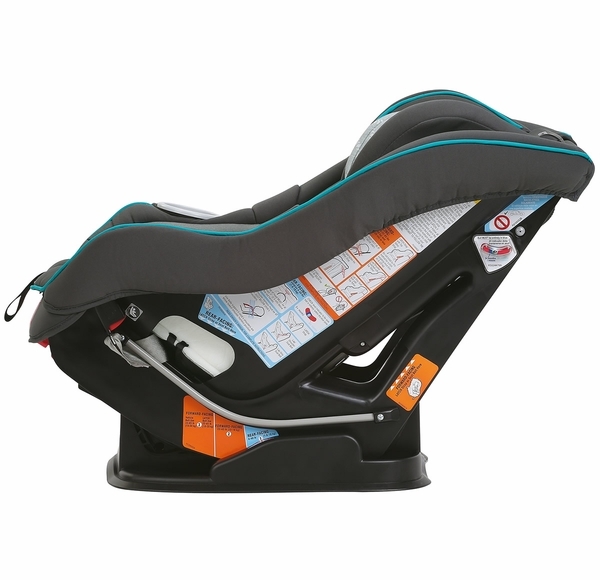 These car seats are very user friendly, our ones prior were very hard if you ever had to move them. I could never get the them to release to move! Bought this one for my husbands truck super easy to install and get our little dear in and out of!! I purchased 2 of these this spring for my daughter & her husband & they love them. I loved the ease of using them so much with my granddaughter that I bought this one for me. This is the best seat, EVER! I have the same seat (older version, of course) for my 5 year old. The updates are awesome! I love the tabs for keeping the buckles out of the way. Its a breeze to take in and out if you're switching between vehicles. I will always choose this seat, hands down! We have a Size4Me & a MySize (exactly like the the Size4Me) and we LOVE these seats. We've had them 3 years now and they are easy to install, adjust, clean, etc. We will be welcoming a new baby and, you guessed it, we are getting another one of these seats! We use them from birth onward, currently our oldest child still using a seat is 5. I wanted to buy a car seat for my husband's car that could be easily taken in and out of the car and this one by far is just that! The latch system is so quick you install it just like a seat belt that fast! It's very comfortable to our daughter to ride in as well. Just overall so happy with my purchase. I bought this for my third grandchild. I was impressed with the great features and ease of installation. It is great for a newborn and with an easy removal of the extra head and body pads for toddler use. This was a big plus since I will need to convert the usage several times in the same week. We have had this car seat for about a month now and I am so glad that I bought it! It's super comfortable and easy to move! I purchased this last month for my 8 month old daughter and I'm so glad that I did. It is very user friendly, wonderful protection, excellent head support, soft next straps, easy to adjust and excellent padding. This is a solid car seat! I'm the grandmother and since I babysit her I needed a car seat. This car seat was a really good bargain. It adjusts easily for height. My only problem is that the car seat is so well padded and insulated that I cannot hear my granddaughter when she talks to me. She is still in the rear facing position so I think it will be better when she faces front.Overall, it is a great car seat!! I'm the grandmother and since I babysit her I needed a car seat. This car seat was a really good bargain. It adjusts easily for height. My only problem is that the car seat is so well padded and insulated that I cannot hear my granddaughter when she talks to me. She is still in the rear facing position so I think it will be better when she faces front. Overall, it is a great car seat!! 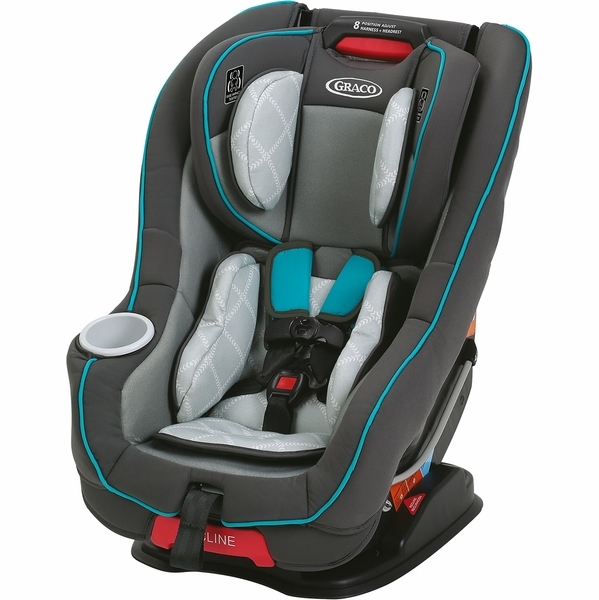 I love this car seat the features and the price definitely recommend!!! I looked at a lot of car seats before I bought this one. I have limited space in my Jeep Wrangler especially with 3 kids. This fits well in the middle. I can have both front seats all the way back. Very easy to install. Overall great seat! Our 2 month old is so much happier in this seat than she was in her newborn seat!PROS:Doesn't take up a lot of room in the carVery comfortableEasy to correctly install and to remove from carGreat head supportWide weight rangeGood price pointEasy to wash coverEasy to adjust harness strapsCONS:It's hard and time-consuming to tighten while the newborn insert is in. You need to slide the chest clip and shoulder pads down and tighten 2-3 times before it's tight enough, and then slide them back up. You have to use 2 hands to wedge the shoulder pads under the newborn insert headrest in order to get the chest clip high enough. Not a deal breaker, but definitely annoying when taking baby in and out often. Hopefully it will tighten easier when she is on a bigger setting/doesn't have the insert anymore. Overall it's a great seat and we are very happy with our purchase! Our 2 month old is so much happier in this seat than she was in her newborn seat! It's hard and time-consuming to tighten while the newborn insert is in. You need to slide the chest clip and shoulder pads down and tighten 2-3 times before it's tight enough, and then slide them back up. You have to use 2 hands to wedge the shoulder pads under the newborn insert headrest in order to get the chest clip high enough. Not a deal breaker, but definitely annoying when taking baby in and out often. Hopefully it will tighten easier when she is on a bigger setting/doesn't have the insert anymore. Overall it's a great seat and we are very happy with our purchase! I bought this car seat to up grade my 6 month old from infant seat. Easy to install! I bought this about 3 weeks ago and I love this car seat. I feel like my grandson is very protected. I don't have the latch system in my car so I just have to use seatbelt. But it is just fine. I bought this car seat a few months back, and today I went to turn it to front facing and realized there is a strap missing from the back to attach it properly. I came to order a new strap, seeing as the strap is missing. I haven't taken the car seat out my car since we purchased this, and there were no other parts in the box when we ordered it. The box was unopened when we received it, so I am a bit perplexed why this piece isn't there. Like many people, we don't exactly have that kind of money to be spending on, yet another, seat to insure my son is safely in the car. These are mostly great car seats. The cover is removable for cleaning. The width is narrower, which was great for us since we have two seats to fit in the car. But not having removable straps is a major problem, one we didn't notice until our LO threw up all over the straps and buckles. And carsickness is pretty common at this age. So now the seat smells really bad, but we can't get the straps off to clean them properly. Pretty major flaw. Straps got puked on beyond repair. Can't order replacement straps. Terrible design flaw. Otherwise we loved the seat. I can't believe a car seat manufacturer would design this seat this way especially since they took so much care to come up with an easily removable cover. Seat was very easy to set up. Love that the seat has a removable cover for cleaning. I bought this over a year ago when my son outgrew his infant bucket seat. I was looking for a convertible option that allowed me to rearface until my son was at least 40 pounds. He's about 30ish pounds now and still fits comfortably. The cover is incredibly easy to remove and wash, it's not too heavy and it's the EASIEST seat to install. Takes 5 minutes. My fiancÃÃ‚Â© has a cheap seat for his truck and our son definitely prefers this graco seat. I bought this over a year ago when my son outgrew his infant bucket seat. I was looking for a convertible option that allowed me to rearface until my son was at least 40 pounds. He's about 30ish pounds now and still fits comfortably. The cover is incredibly easy to remove and wash, it's not too heavy and it's the EASIEST seat to install. Takes 5 minutes. My fianc has a cheap seat for his truck and our son definitely prefers this graco seat. I bought this over a year ago when my son outgrew his infant bucket seat. I was looking for a convertible option that allowed me to rearface until my son was at least 40 pounds. He's about 30ish pounds now and still fits comfortably. The cover is incredibly easy to remove and wash, it's not too heavy and it's the EASIEST seat to install. Takes 5 minutes. My fiancÃÂ© has a cheap seat for his truck and our son definitely prefers this graco seat. After using a few different carseats for our 2 year old, we upgraded to this one. We love that it is aircraft approved for our upcoming trip and has great cushion support. I bought this seat when my son outgrew his infant seat. As a second time mom I knew what I wanted in a car seat. I wanted something easy to install, easy to adjust, and easy to clean. This seat met all my needs and more, like the slots to keep the straps out of the way when placing baby in the seat. I'm so happy with my purchase I may buy a second one even though I don't need to because I have an old seat from big brother. hooray! finally easily removable coverings for a car seat. Car seats need so much washing. Thank you! I am a grandmother and on my third car seat. My kids do not have time to take apart all the straps to remove these very dirty seat covers. A very nice feature. 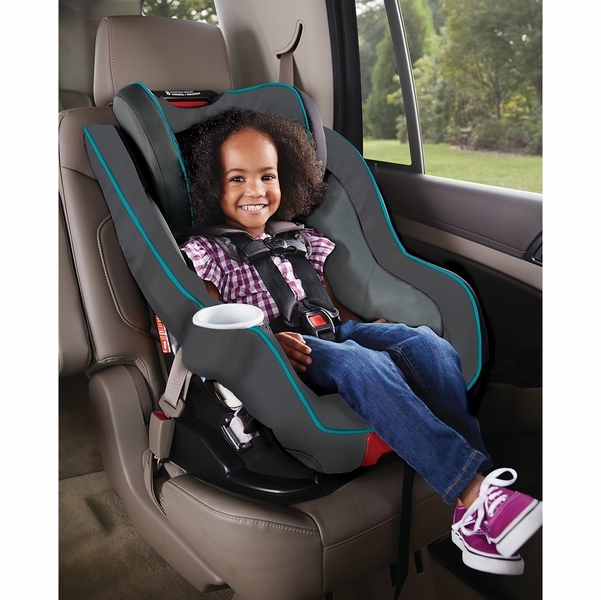 This covertable, easily adjustable, easily removable car seat is great. Bought this when my son was 6mo. He loves this seat! He is very comfortable in it and doesn't fuss about it! This seat is very easy to install and move from vehicle to vehicle. I was afraid it wouldn't fit in my old 1994 standard Cab pickup, but it worked great and fit easily inside. The reclining slide is a little stiff, but with a little effort it locks into place. 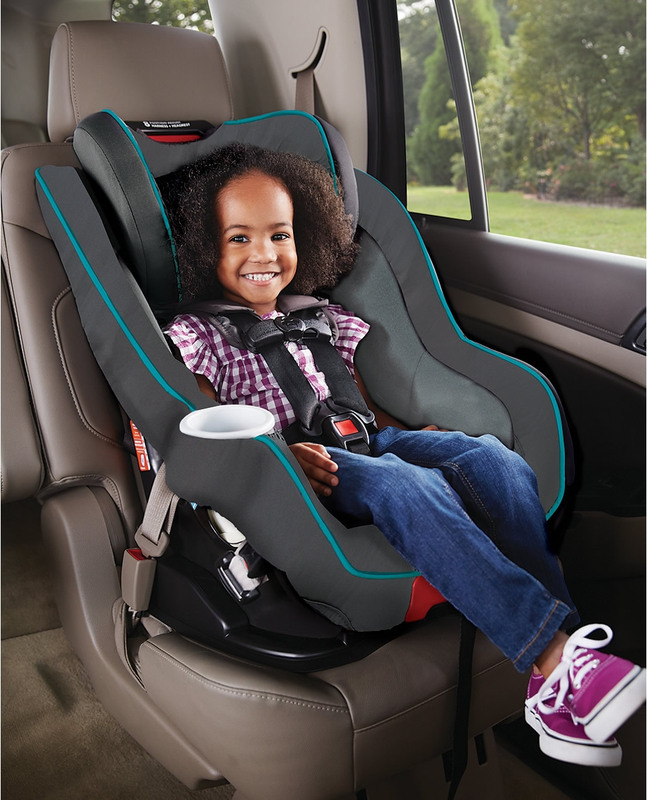 This seat is great for cars or smaller pickups, but is still able to grow with your child. 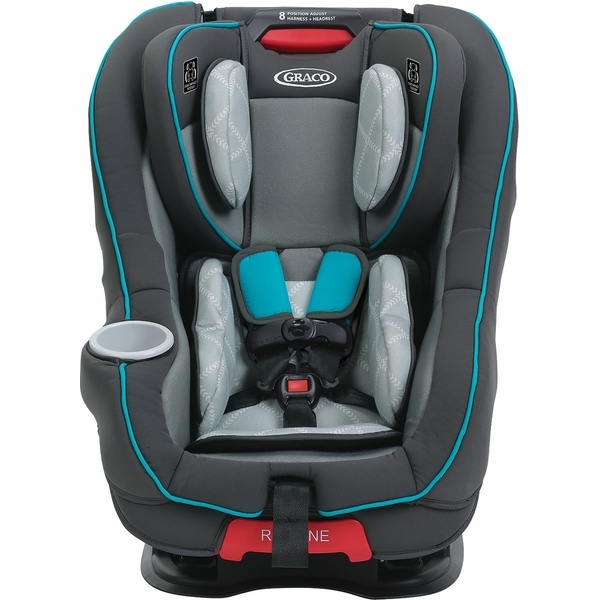 I've loved this car seat from the moment I saw it at the store. I use Graco for all my children's products. I have two children both with Graco car seats. And a Graco dream glider for my baby. This seat is so comfortable I adjusted the straps to my daughter and she loved it instantly. Every time I put her in a car seat that you carry she cries but I sat her in this and she smiled the whole time!!! I love the comfortable feeling of the seat. I love the option of convertible so she can grow with it. We shouldn't have to buy anymore car seats untill her weight and height is exceeded. I definitely recommend this to everyone! I will always recommend Graco products!! We love its durability, color scheme & the easiness of tightness. We recently switched from a Grace Snugride 35 lx and loved that as well. I purchased this car seat summer of 2016 when my son was around 7 months old and I have absolutely loved it. It's easy to clean, easy to install, and my little man seems to like it very much as well!!! I have no complaints with this car seat what so ever and I would most definitely recommend it to anyone looking for convertible car seats! I love the pockets the buckles go into! It makes it so easy to put baby in and take her out. No more getting tangled in the straps! I have owned many Graco products in past 12 years for my three children. This carseat did not fail my expecting, Graco is my favorite brand. Would buy again! I bought this for my daughter because she outgrew her infant seat. I love the rapid remove feature of the cover, it's so handy. She loves the seat, seems much more comfortable in it. Also like the little pockets to stowe the harness buckles in between uses, much easier than fishing them from under the baby lol. Just received my car seat for my 1 year old. Looks nice and sturdy, but have not tried it out yet. It nice and seem to have roo. Very comfortable. Easy to install. This wonderfully designed car seat is for our 2 year old granddaughters. It was easy to install, love that it will accommodate our girls as they grow, and they enjoy the comfort on long car rides. 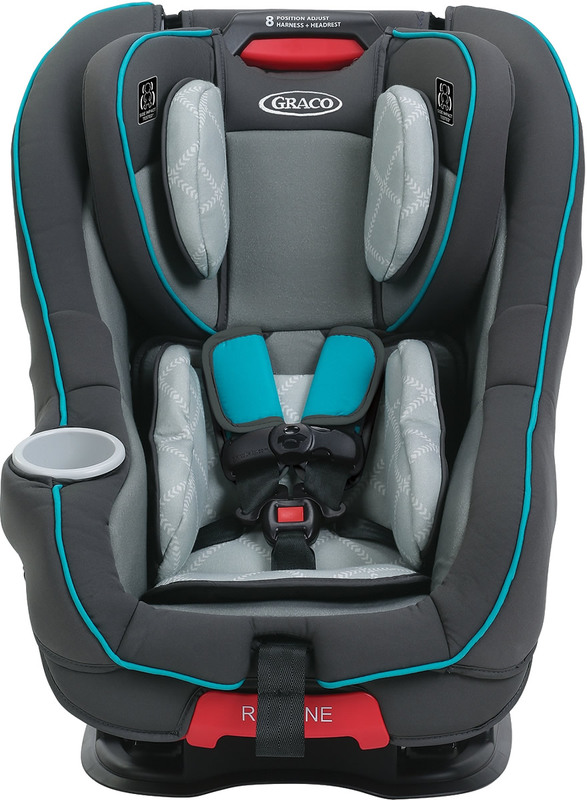 The Fit4Me™ 65 convertible car seat holds a rear-facing infant from 4-40 lbs. and forward-facing child in its 5-point harness from 20-65 lbs. It easily grows with your child with the Simply Safe Adjust™ harness system, which automatically adjust both your harness and head rest height. This car seat also offers our exclusive InRight™ LATCH system for one-second LATCH attachment. My Size™ 65 features EPS foam, a removable head/body support, three recline and two buckle positions to keep your child snug and secure. This seat is Safe Seat Engineered which includes Side Impact Testing. Seat cushion is removable for machine washing.